Carbonation and yeastiness make batters crisper, and help cakes and sweet quick-breads to rise. 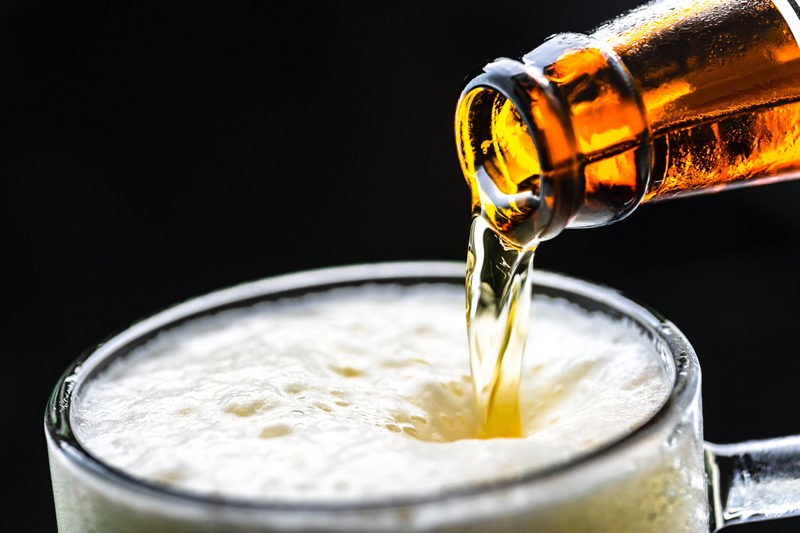 Depending on style used, beer may enhance the chocolate or dark-fruit aspects of sauces, or highlight the lightness of macaroons, bread pudding and lemon pound cake. When adding beer as an ingredient to cakes, choose a recipe that uses water, milk, buttermilk or yogurt. Use a beer with compatible flavors as a substitute for half of the liquid. With fruit pies, you may use up to 4 oz. of beer, but add an additional tablespoon of flour to the filling. Beer such as Framboise (raspberry), Kriek (Cherry), Pesche (Peach), or Seasonal Spiced Beer can be used as a gentle flavoring in desserts – a tablespoon may be all you need. Follow-up with the same beer as an accompaniment. You may wish to warm the beer and enjoy as a sipper. When pairing beer with desserts, look for beers that have similar qualities to the foods they serve. Keep in mind, however, that a super sweet dessert can sing with the high hoppiness of a double IPA or Belgian Tripel. Chocolate loves strong, dark beers, particularly Belgian Strong Dark Ale, Barleywine, Robust Porter or Imperial Stout. The best digestifs are strong and on the sweet side. Wood aged Barleywine, Imperial Stout, Scottish-Style Ale, Imperial Blonde, Robust Porter, Belgian Dark Strong Ale, Belgian Dubbel and Quadrupel, Rauchbier, Doppelbock, Eisbock, Olde Ale, or Christmas Seasonal. Sippers – especially spiced beers - may be enjoyed slightly cooled or as a tasty warmed treat with an added cinnamon stick. Many people like cheeses as an after dinner treat – try cheeses from the Belgian Trappist monasteries: e.g., Grand Reserve with Chimay Trappist Cheese or Roquefort. …and don’t forget the coffee with a splash of Russian Stout!